Most assisted living communities offer residents the choice of all-inclusive or fee-for-service pricing. All-inclusive means that a single monthly fee covers rent, meals and any additional services a resident chooses such as housekeeping or transportation. Fee-for-service means a resident pays only for those services they use. Typically, if a resident intends to use the full suite of services an assisted living residence offers, it is less expensive to choose the all-inclusive model. If a resident will only require certain services or will use outside assistance for certain services, then the fee-for-service approach offers better cost savings. A more detailed review of assisted living pricing models are available. In 2018, the projected, average monthly cost of assisted living nationwide is $3,800. Alzheimer's and dementia care in assisted living (called Memory Care) costs, on average, an additional $1,200 per month, for a monthly total of $5,000. Costs vary dramatically from state to state. In the South and Mid-West, the average monthly costs are from $3,000 - $3,800. In the Northeast and on the West Coast, $4,200 - $5,500 per month is the norm. See a table of the average cost of assisted living by state. As of 2018, Medicaid pays for some of the cost of assisted living in forty-three states. Financial assistance from Medicaid for assisted living comes through several different types of Medicaid programs. The most common of which are Medicaid Waivers, also called Home and Community Based Services (HCBS) Waivers and 1915 Waivers. The number of states offering these waivers has increased rapidly in recent years and assistance will possibly be available nationwide in the near future. However, some states are moving to a Medicaid managed care model and away from Medicaid Waivers. These states continue to provide the same level of benefits for assisted living but do so as part of their managed care programs instead of through waivers. Another type of Medicaid program is referred to as State Plan Personal Care or Personal Assistance Services. This is a regular Medicaid benefit (an entitlement) that pays for personal care and allows beneficiaries to receive that care in assisted living communities. States are increasing the level of assistance they offer to persons in assisted living because this living environment is less expensive than skilled nursing homes and therefore less costly to the state. Having said that, Medicaid's assisted living benefits are inconsistent, to say the least, across the forty-three states in which assistance is provided. For example, in some states, Medicaid pays for only personal care services in assisted living. In other states, the size of the community is regulated. Some states limit size to small, adult foster care type homes and other states limit assisted living to larger residences serving twelve or more persons. Still other states have no regulations at all related to the number of residents. Another variation in policy relates to room and board. While Medicaid does not pay for room and board, states have found ways to assist, by limiting the maximum amount that can be charged or by providing non-Medicaid assistance to Medicaid eligible persons. 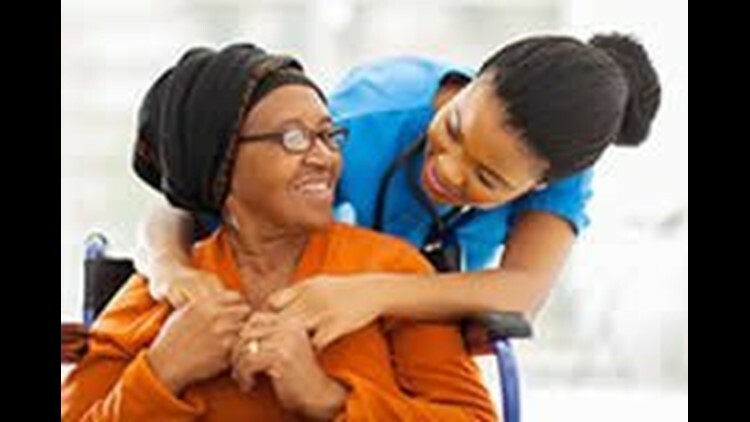 A complete list of states whose Medicaid programs help with the cost of assisted living and their eligibility requirements is available here. One can also learn more about qualifying for Medicaid assistance here. There is financial assistance for assisted living for veterans in the form of a pension called the Aid and Attendance Benefit. This program can provide approximately $2,200 per month in assistance. However, eligibility is complicated and there can be extensive wait times for approval. Details of the program, eligibility requirements and tips for expediting the approval process are available here. Veterans who may be eligible for both Medicaid and Aid and Attendance might want to review this comparison of the two programs. A second option for veterans can be used in independent living communities but not assisted living communities. Veterans’ Directed Care, also called VD-HCBS, give the participating veteran considerable control and latitude with how their care funds are spent. Under this program, personal care attendants can be paid to provide assistance to veterans residing in independent living. Read more. It is worth noting that the phrase “independent living” means different things in different states. Here we are referring to a senior living community that does not provide personal care supportive services but may provide recreational activities and group meals. Many states have recognized that providing financial assistance to frail, elderly individuals for assisted living is less costly to the state then having them go into a Medicaid-funded nursing home. This is usually preferable for the individual and their family as well. Unfortunately, not every state offers these programs. These programs come in many shapes and sizes, offering different benefits, but all the programs in one way or another help to offset the cost of residing in an assisted living community. For example, some of these programs provide cash assistance that is not specifically designated for assisted living but can still be used for that purpose. Other programs provide a benefit supplement for beneficiaries who reside in assisted living instead of at home. Still others are state-owned, assisted living residences with pricing well under market rates.